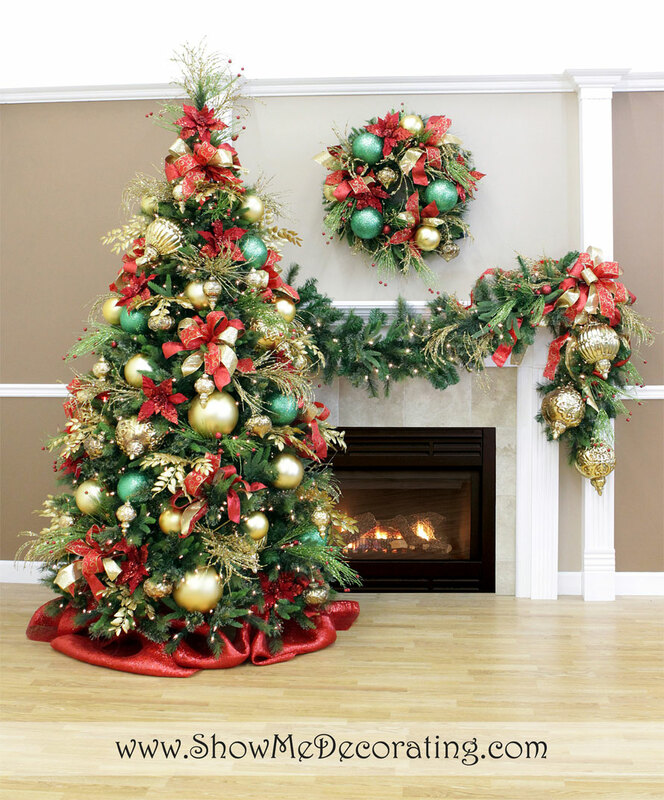 Christmas is coming so close, the Christmas tree is the centerpiece of your home. 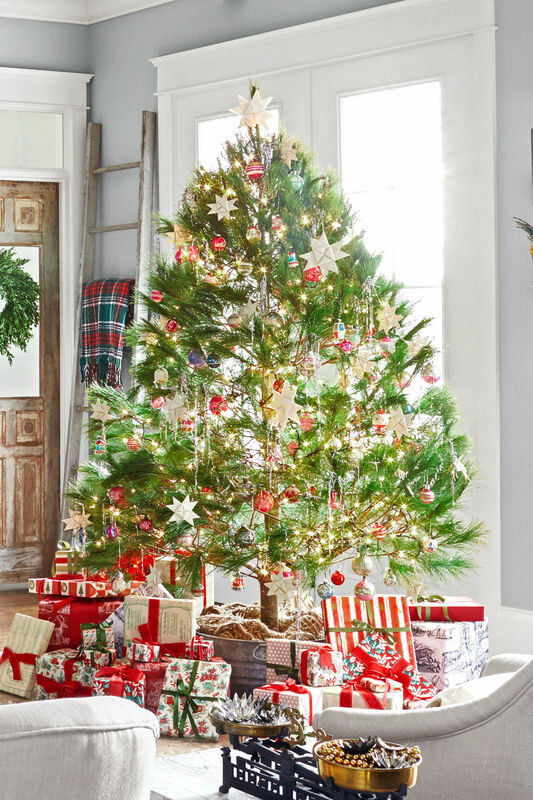 Follow these simple tricks for overcoming just about any decorating obstacle and your tree will be more than ready for those presents on Christmas morning. 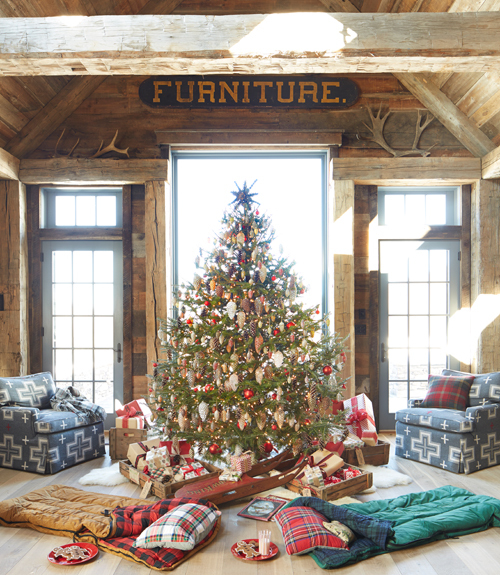 Holiday-appropriate plaid accents, like the throw on the ladder and the scarf on the caribou, add timeless charm, while vintage wrapping paper ups the nostalgia factor. 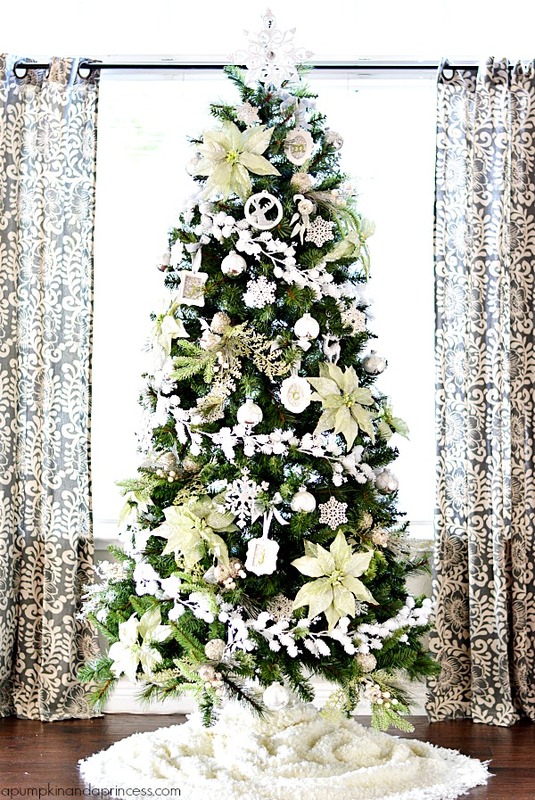 Up the elegance of this year’s evergreen with beautiful celestial symbols. 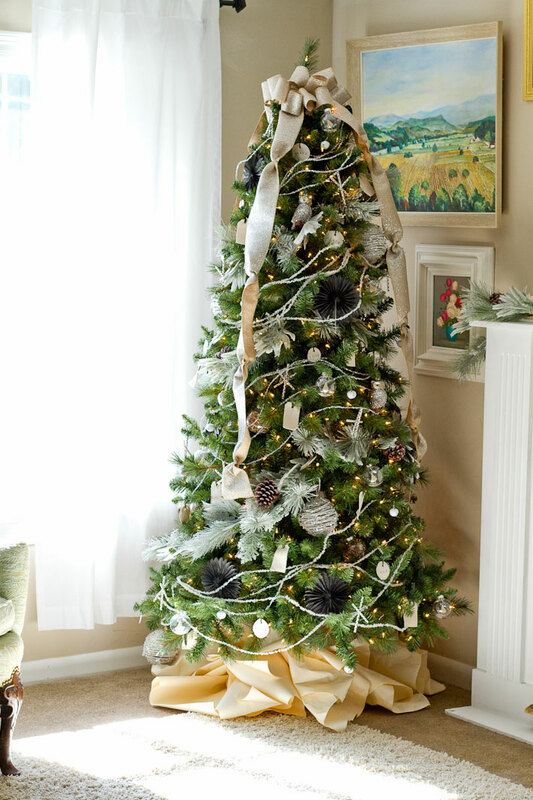 Delicate silvery angels flit among hand-tied ribbon stars. 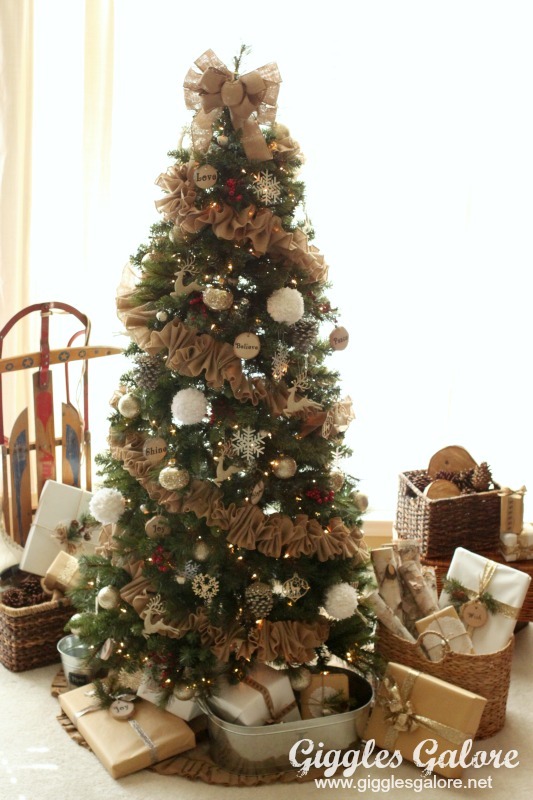 A scalloped felt tree skirt conceals the stand. 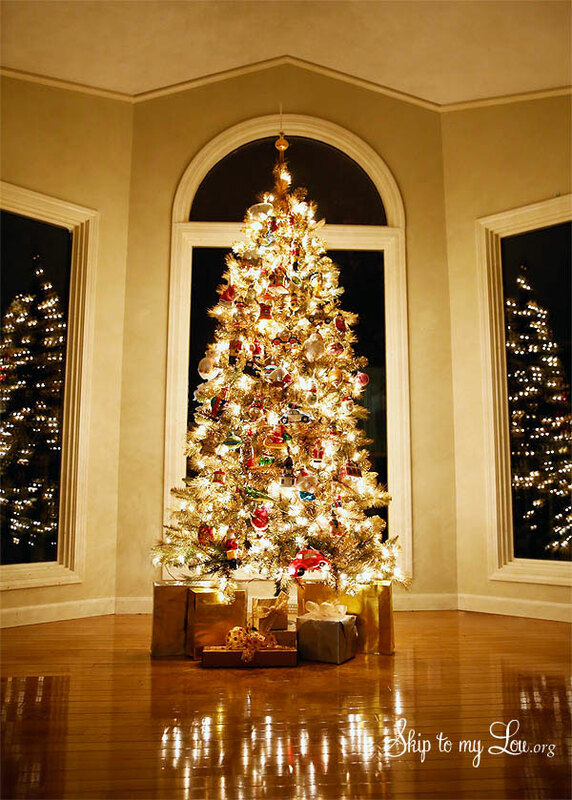 This Christmas tree shines in shades of gold, white, and blue. 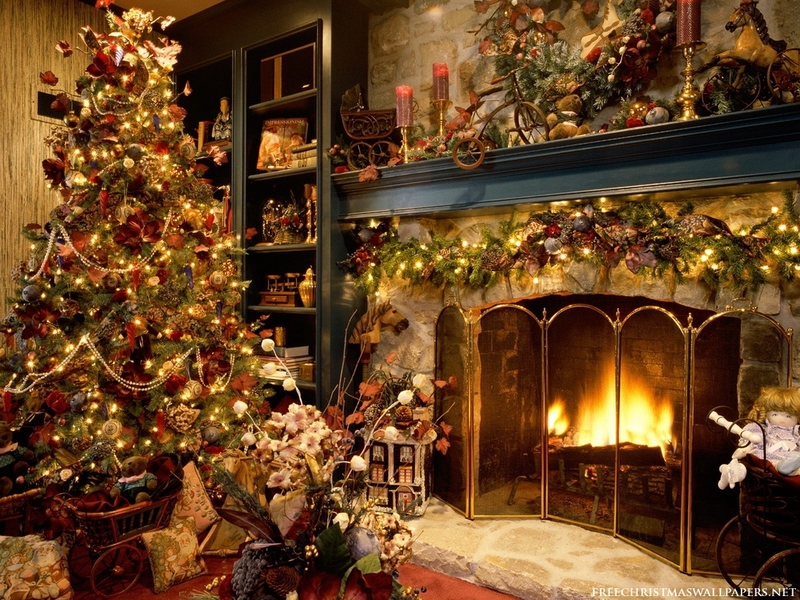 If you don’t have a fireplace, simply hang stockings from thick twine. Josh Kilmer-Purcell and Brent Ridge turned poinsettias into living ornaments in a flash with floral water tubes. 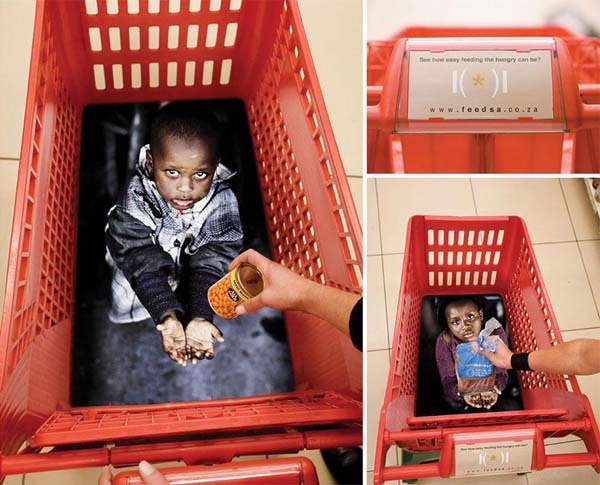 Kids will love this idea: Add cozy sleeping bags for “campouts” under the Christmas tree. 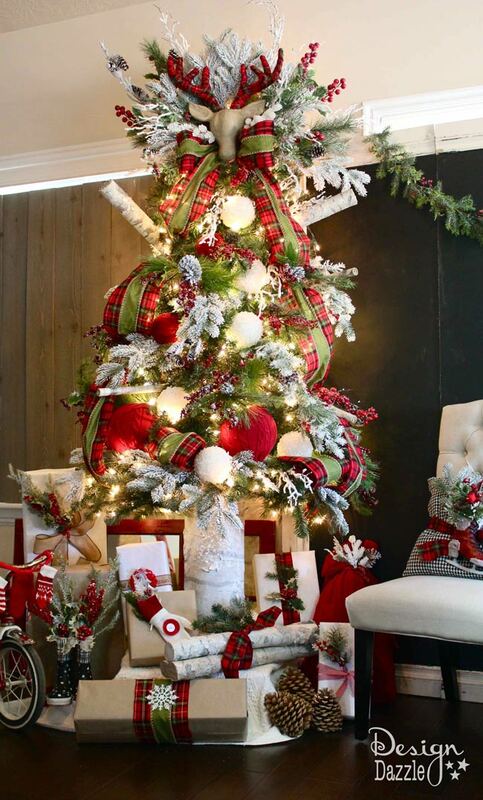 Give your mobile Christmas tree a different look for each room in the house with clever decorating ideas. 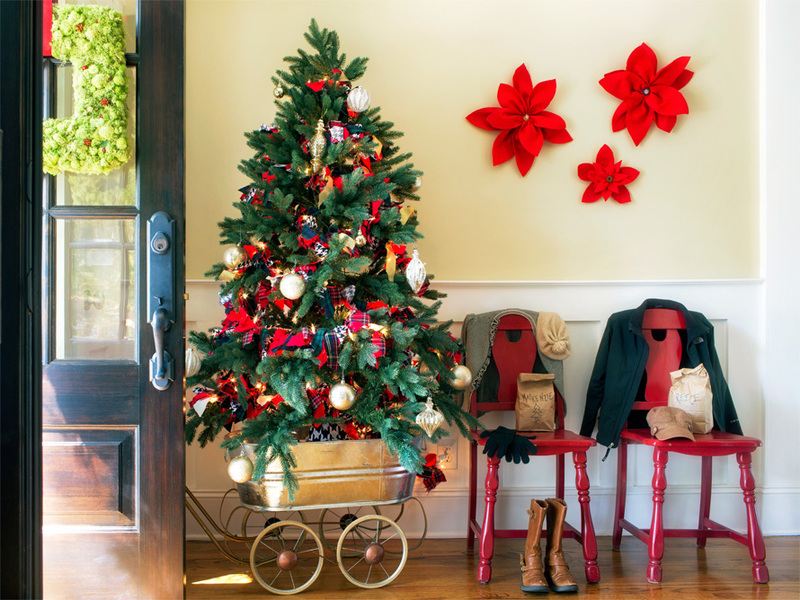 From an outdoor room to the kitchen, each space can easily celebrate the holidays in style. 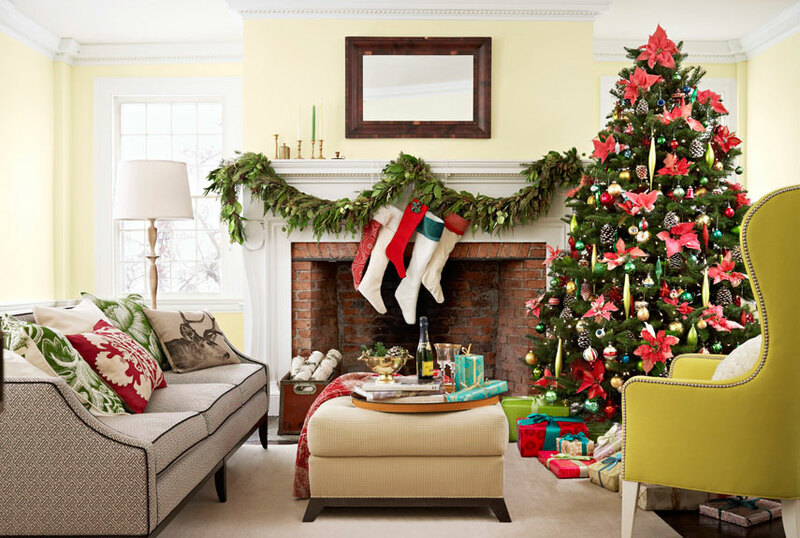 From their New England home, see how design gurus Eddie Ross and Jaithan Kochar rewrite the rules of holiday decorating and go all out for the season. 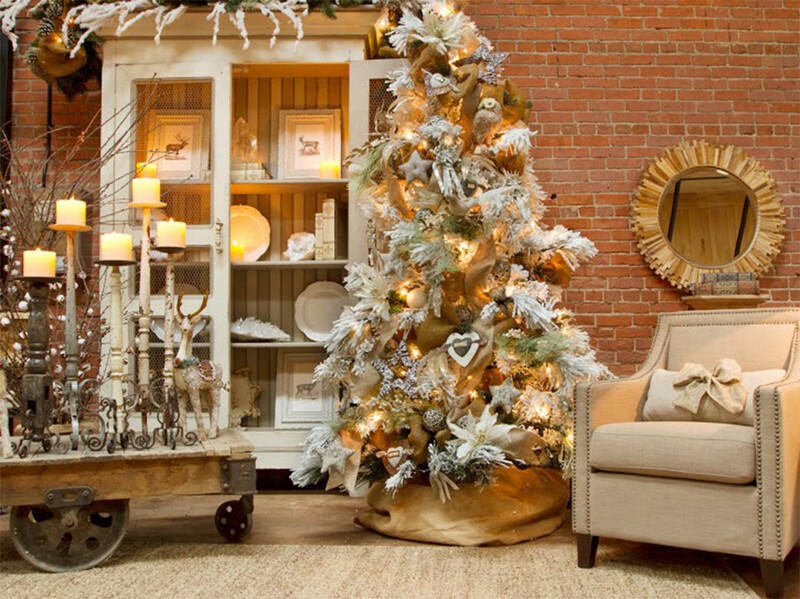 A fully decorated Christmas tree chilling in living room. 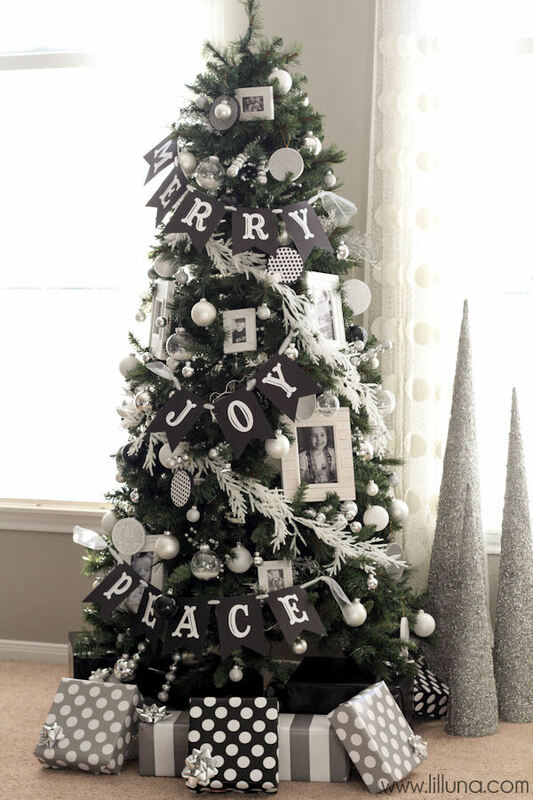 Black, White and Silver tree that was decorated with pictures and words. 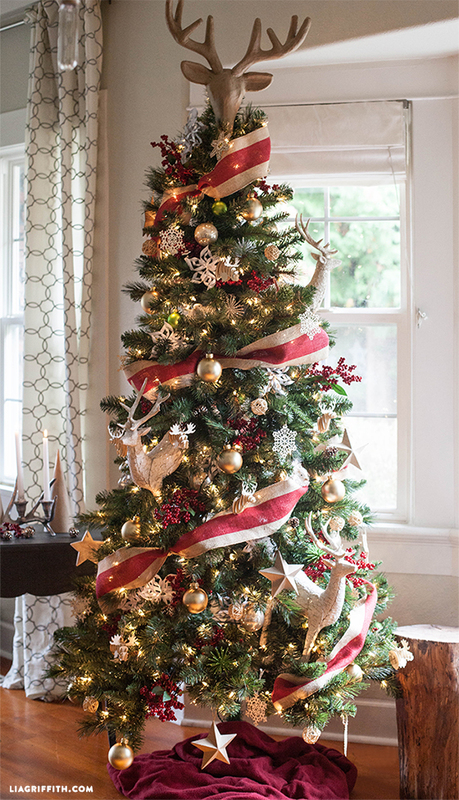 Christmas tree with whimsical, shiny, glittery, full of tinsel, sequins and paper ornaments. 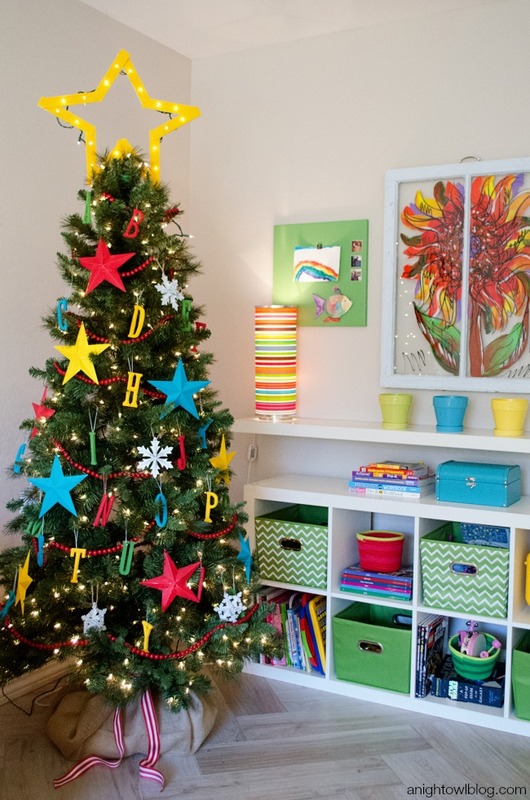 A Christmas Tree with alphabet ornaments and fun, bright colors. 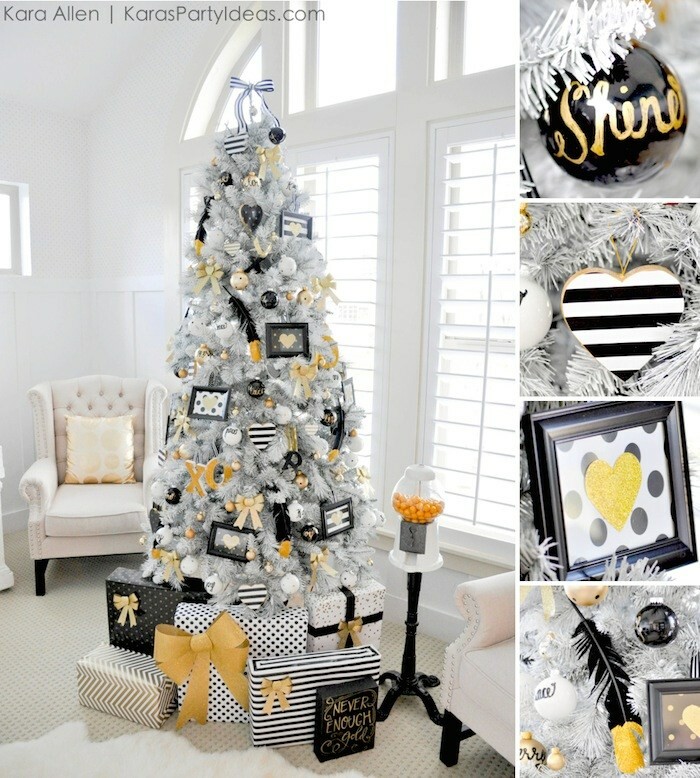 Christmas Tree with some fabulous black, white and gold wrapping paper in amazing striped and polka dot patterns. 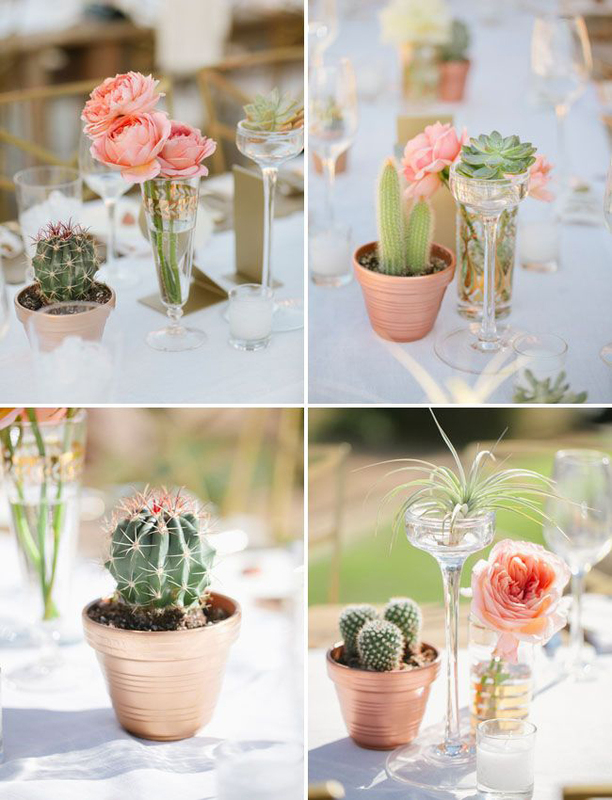 A tree can tell a story, with each branch containing a different ornament that serves as a connection to a long-ago time, place, or memory. 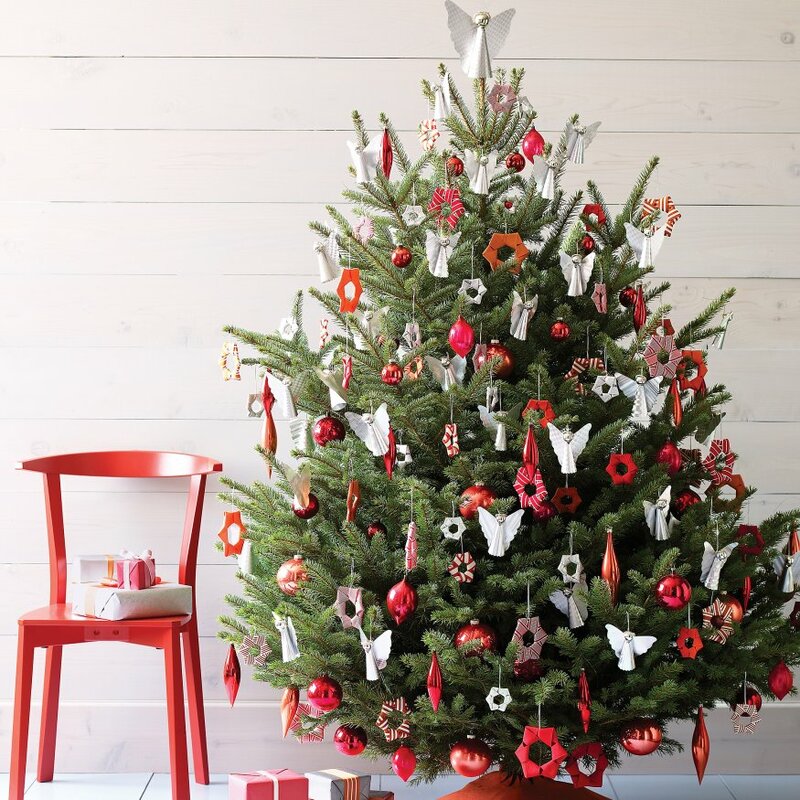 Red Dala horses (a traditional Swedish figurine) adorn blogger Ashley’s illuminated Christmas tree, while wooden trees and branches add to the Scandinavian look. 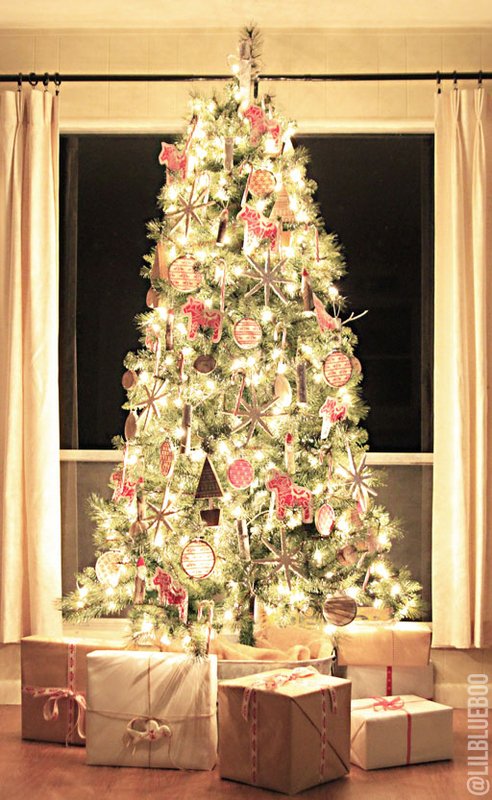 Starburst ornaments made from paper straws and clear plastic ornaments filled with paper shredding add homemade details to this stunning tree. 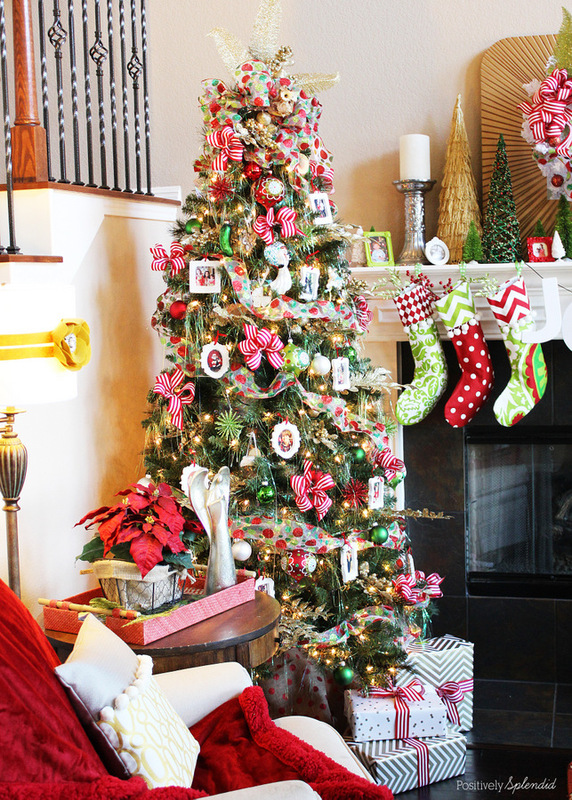 Our favorite part about blogger Cindy’s glowing tree? 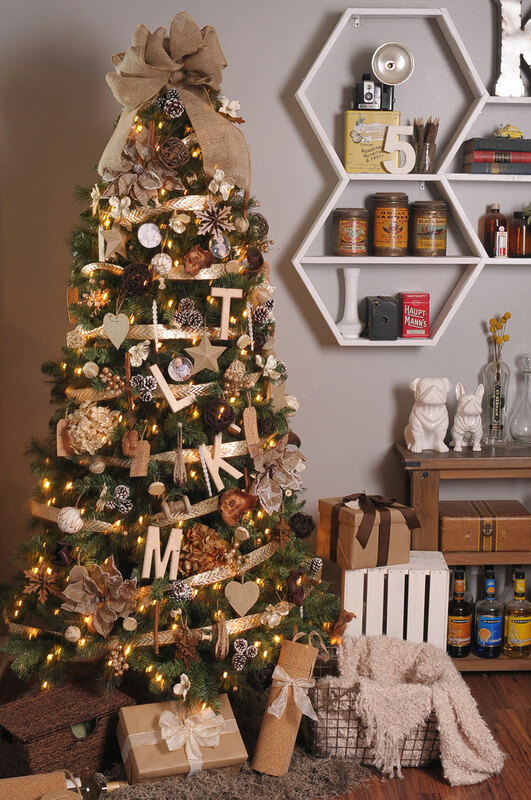 The ornaments are all representative of places and things that mean the most to her family. 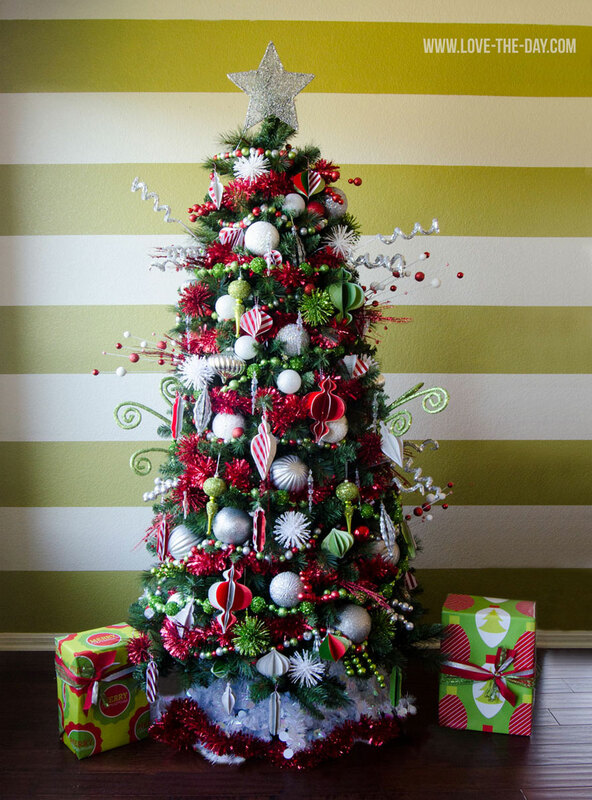 From a gumball machine ornament for her daughter to a Santa driving a car for her son, Cindy’s tree is an homage to her family. 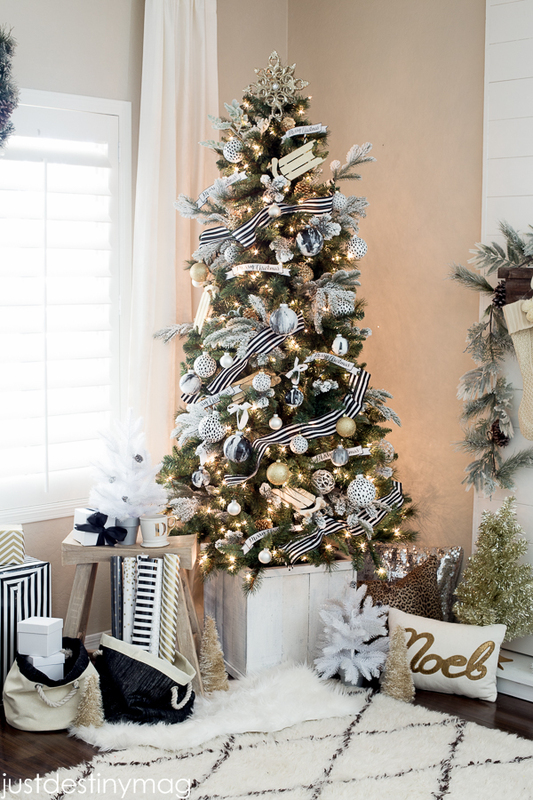 Black-and-white striped ribbon wraps around a Christmas tree that’s adorned with flocked branches and faux marble ornaments. 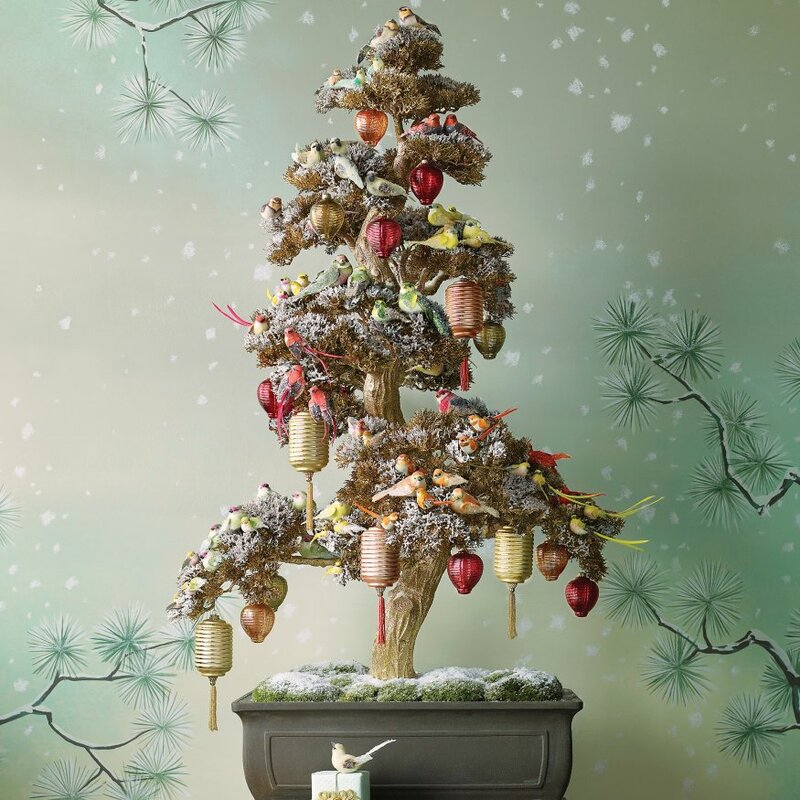 Inspired by the bonsai collection at the Arnold Arboretum in his native Boston, Martha Stewart Living’s Kevin Sharkey created this enchanting roost using an artificial bonsai.